Signs You’re Lacking in Vitamin D and How to Get More (Without Baking in the Sun) - ShareIt! Did you know that vitamin D has a tremendous impact on our body`s ability to combat disease, from both external and internal sources? This vitamin is found in countless food sources and yet millions of people are deficient in it and their deficiency is never diagnosed. Vitamin D deficiency has been called the hidden cause of many different chronic diseases. For instance, it has been associated with many cancers, heart disease, diabetes, hypertension, fibromyalgia, osteoporosis, osteopenia, chronic muscle pain, and even autoimmune diseases like multiple sclerosis. Vitamin D functions like a hormone and gene modulator in the body, turning on and off certain genes in the DNA. It works by modulating cellular growth and limiting cancer cell growth. In addition, it improves the differentiation of cells, which puts the cells in an anti-cancer state. This is why vitamin D acts as such a powerful inhibitor of cancer growth and why deficiency has been associated with prostate, ovarian, breast, and colon cancer. According to a study of soldiers, those with levels of 25-hydroxyvitamin D higher than 16ng/mL had fewer respiratory infections than those with lower levels. Another study found that school girls who supplemented with 1200 IU daily of D3 during the winter, showed a lower level of infections with Influenza A. According to a 2012 study by researchers at Kaiser Permanente involving 4600 women over a 5 year period, women with 25-hydroxyvitamin D levels lower than 30ng/mL had higher baseline weights (148.6 lbs) compared to those with higher levels (141.6 lbs), and the women deficient in vitamin D.
Up to 80 percent of the vitamin D that we need daily comes from the sun. Unfortunately, most people are not exposed to enough direct sunlight, which explains why more and more people are deficient in this vitamin. 1.Get your 25-OH Vitamin D levels Tested. Normal ranges are between 10-55 ng/ml but optimal ranges for optimal health are between 40-65 ng/ml. People with darker skin tones have lower levels of 25-OH Vitamin D.
Vitamin D3 is the active form. Most supplements and prescriptions contain Vitamin D2 which isn’t biologically active. 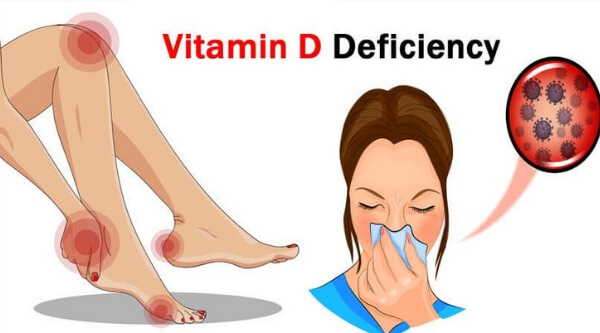 Supplementing with 2000 – 5000 IU of Vitamin D3 daily for three months is recommended for those who are deficient in vitamin D. But, make sure you are being supervised by a doctor. ← 10 Signs of a Toxic Parent and How They Damage Their Kids without Being Aware of It!